The Sharp AR-M201RN provides superb copying and printing functions including duplexing. It ensures brilliant colour scanning with its FREE Sharpdesk™ document management software. The AR-M201RN comes complete with standard Network Printing/Colour Scanning Expansion Kit, allowing the integratation of its powerful features straight into your office network. 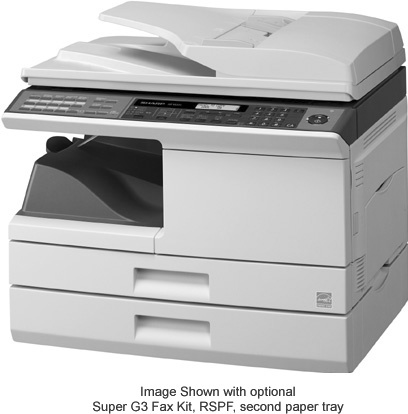 It also gives the option of having a Super G3 fax communication if required.